Brighton Ford : Ford Racing unveils 2013 NASCAR Ford Fusion paint scheme! Ford Racing unveils 2013 NASCAR Ford Fusion paint scheme! 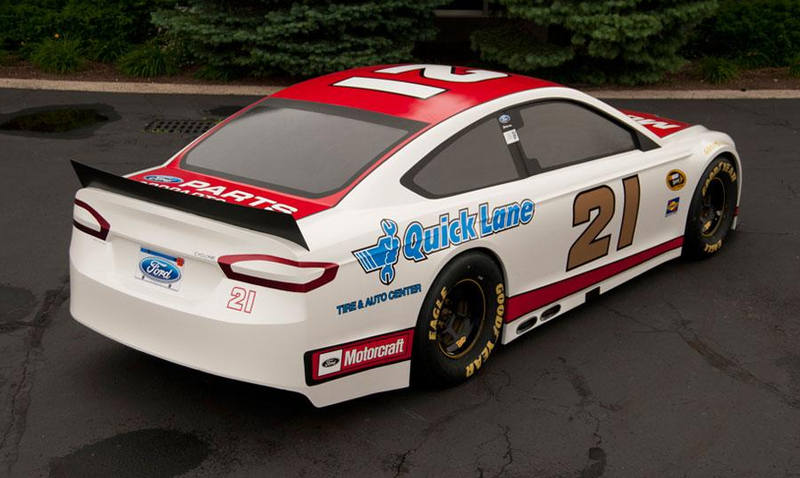 Back in January Ford unveiled their new NASCAR stock car based on the 2013 Ford Fusion. While the reveal gave fans a look at the new racer’s shape, fans will finally be able to see the new stock car in full race livery this Thursday during the Roush Fenway Fan Day in Concord, North Carolina. As you can see from the photos the new paint scheme sports the red and white of Ford’s parts division, Motorcraft, as the Wood Brothers will be racing it in this year’s Sprint Cup. Surprisingly, the vehicle in the photos is actually a full-size clay mock-up created by the Ford Design Center in Dearborn. After the Roush Fenway Fan Day the Motorcraft Fusion will spend the weekend in the Ford consumer display at Charlotte Motor Speedway. So what about the rest of us? When will we have chance to get up close with this beast? Soon it seems. 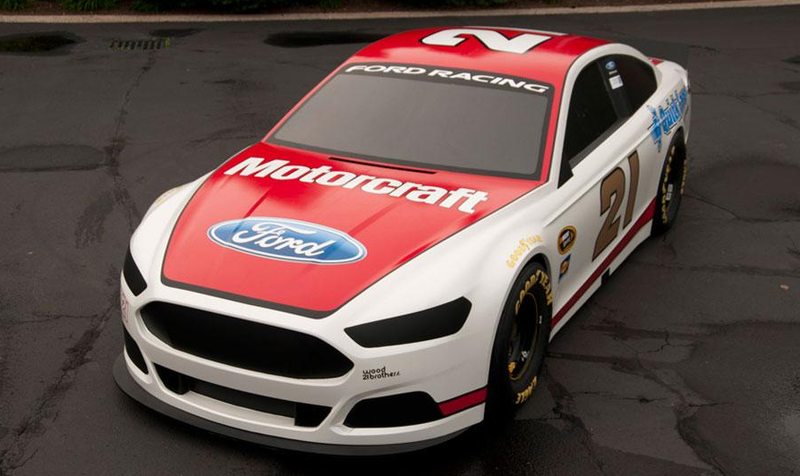 The 2013 Motorcraft Ford Fusion mock-up is scheduled to hit the road as part of a traveling exhibit throughout the 2012 season. All you have to do is keep those fingers crossed in hopes that it swings by your town – or one close to it. Watch the Ford Racing video below to see Greg Biffle and Ricky Stenhouse Jr. take the 2013 NASCAR Ford Fusion for it’s first hot lap! If you have any questions about the 2013 Ford Fusion please feel free to Contact Us. We would be happy to address any of your questions.